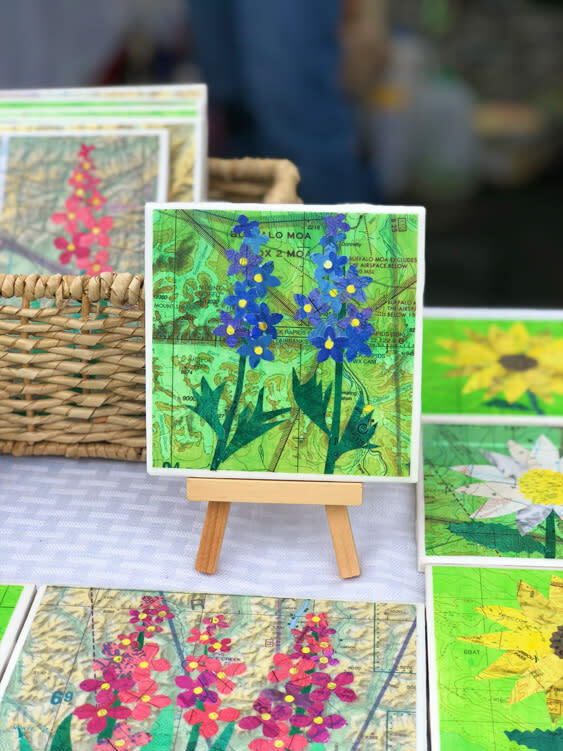 Spend a Fairbanks summer day with local vendors and farmers. I will admit that it was my firstborn who really knew what he was talking about at only eight years old. 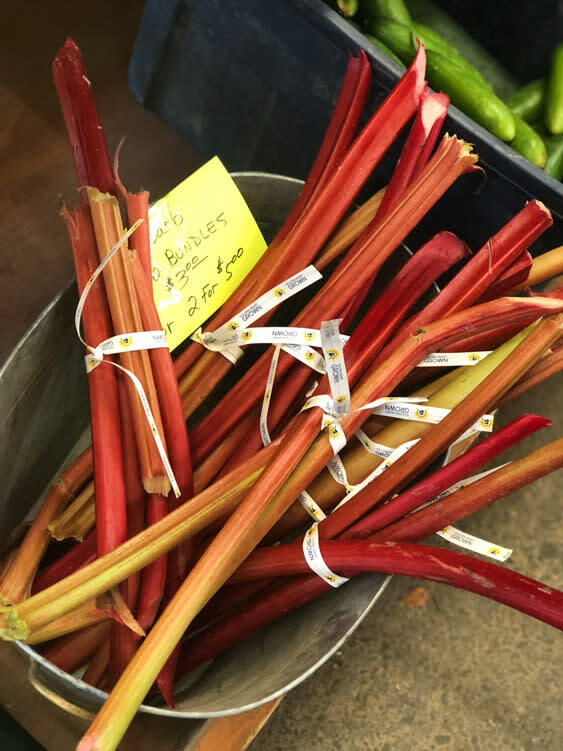 Years ago, when he and his then one-year-old little brother used to accompany me to the Tanana Valley Farmer&apos;s Market, his curiousness about all things that grow in a farm fascinated him. 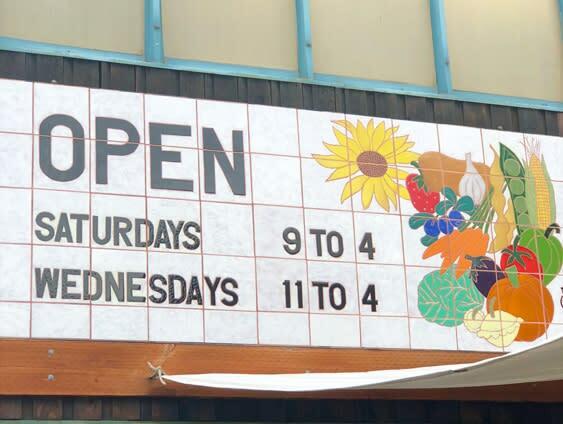 In those days, the Saturday trip to the Farmer&apos;s Market consisted of me hauling two children on an errand for that evening’s dinner and their snacks for the week. There I was with one kid holding on to my jeans’ pocket, while the other was nestled and comfortable in his stroller. 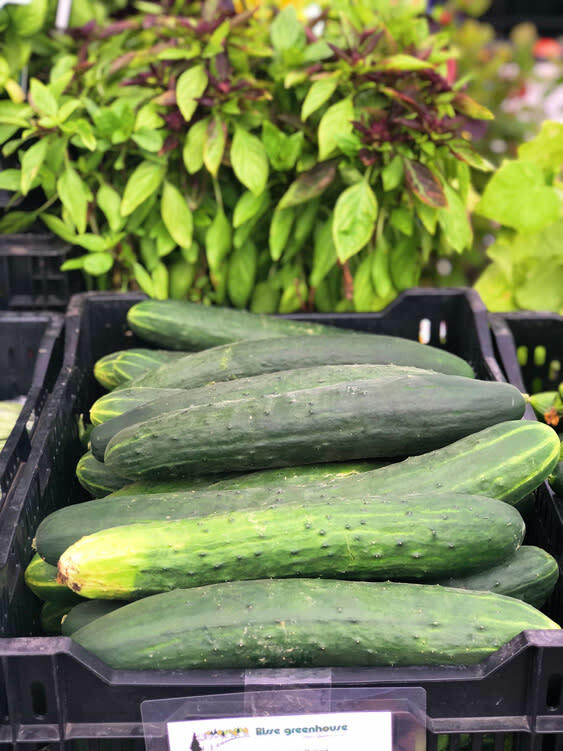 I’d manage to maneuver myself between the vendors, while the eight year old would ask the farmer selling us the zucchini and tomatoes, "how do they grow so big? ", "why is the zucchini shaped that way?" or "how big do the tomatoes get?" The farmer ever so patiently would provide him with answers. And, I stood there attempting to be patient, would count down the seconds to where I can interrupt so that we can be on our merry way. Little did I know I was also getting an education. The kid was way ahead of his time. It was no surprise to us that he eventually took his curiosity and questions and became a journalist. But for me, my education on all things Alaska Grown merely started to evolve. 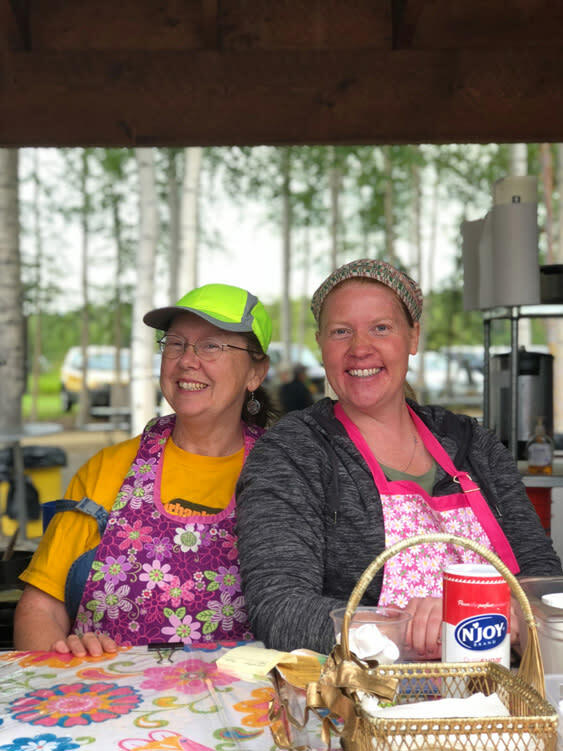 You see, everything I’ve learned about gardening and the importance of locally grown, I learned it all from the many vendors (and farmers) at the Tanana Valley Farmer&apos;s Market. Before I transplanted and settled my roots here in Fairbanks, Alaska—I lived a life in California, Hawaii, Germany and the Philippines, and those lives never including an evolving appreciation for locally grown products and how to sustain them. 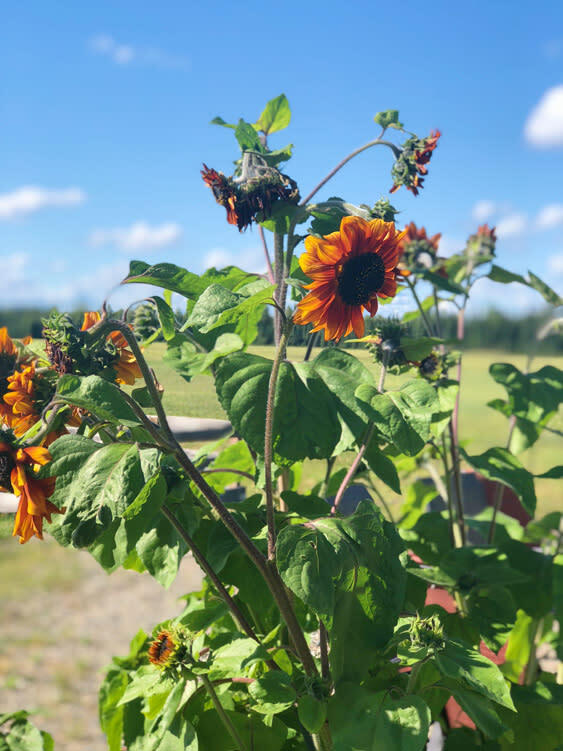 These days, Saturdays at the Farmer&apos;s Market are spent picking up produce for the week’s dinner, but also include chatting it up with the vendors/farmers about this season’s garden, and since we do live in Fairbanks—we’ll chat about the weather as well. 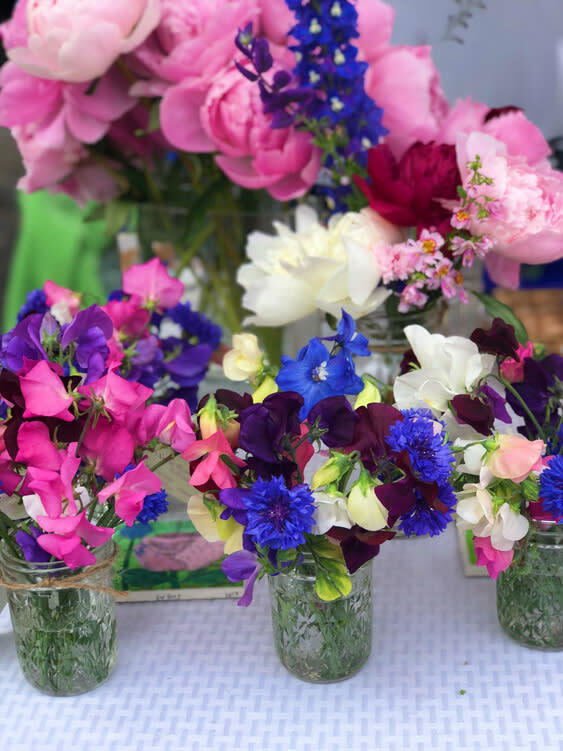 Here are some Farmer&apos;s Market tips that I’ve learned throughout the years. If you are going to be an early bird, you must arrive about 5-10 minutes before the opening bell tolls. Years ago, I remember standing by Gretchen’s Basically Basil stall when she rang the bell and I just about jumped a few feet off the ground. If there is anyone who knows how to ring a bell with great enthusiasm while yelling, “market is open!” – it’s Gretchen. The early arrival is due to the parking lot getting filled quickly—however, the expert Saturday shoppers usually have a mission (like yours truly) and we can be in, and out in a matter of minutes. The parking isn’t difficult, but there is a sense of great accomplishment when you secure a parking spot right up against the market. Throughout the years, I’ve become quite devoted to a few favorites. 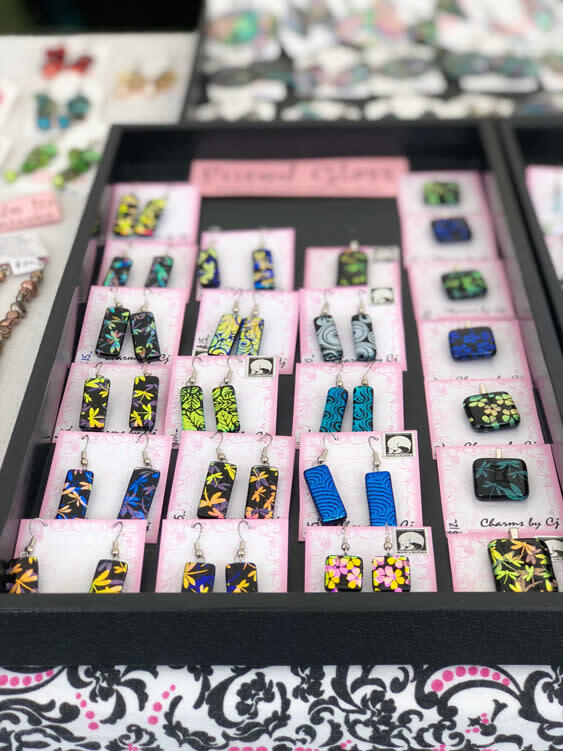 Truth be told, all the vendors at the market are my favorite, and I’ll go with the ones that top my list here. 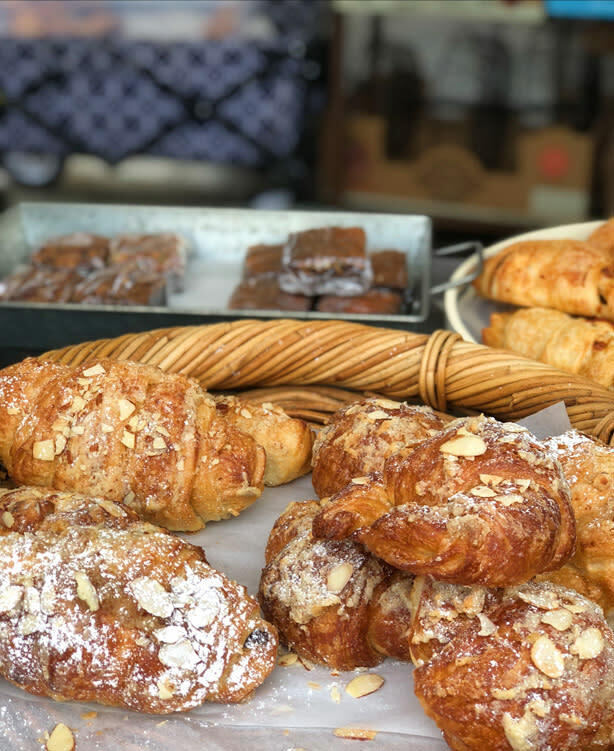 After parking, the first stop must be to Marlo’s Bakery where you’ll find either Cathy or Tyler standing behind a table filled with many delectable pastries. I’ve told myself that it was a gift when Marlo’s Bakery opened—because we needed one so badly in Fairbanks. After saying hello to Cathy or Tyler, make sure to grab a chocolat au pain. I usually eat this French pastry while I peruse the produce. A side note, Cathy can bake some of the most decadent cakes. My husband is a fan. I have never seen a man drop what he was doing, and drive to Marlo’s Bakery as soon as he finds out that she baked her chocolate salted caramel cake. Marlo’s Bakery pastries. 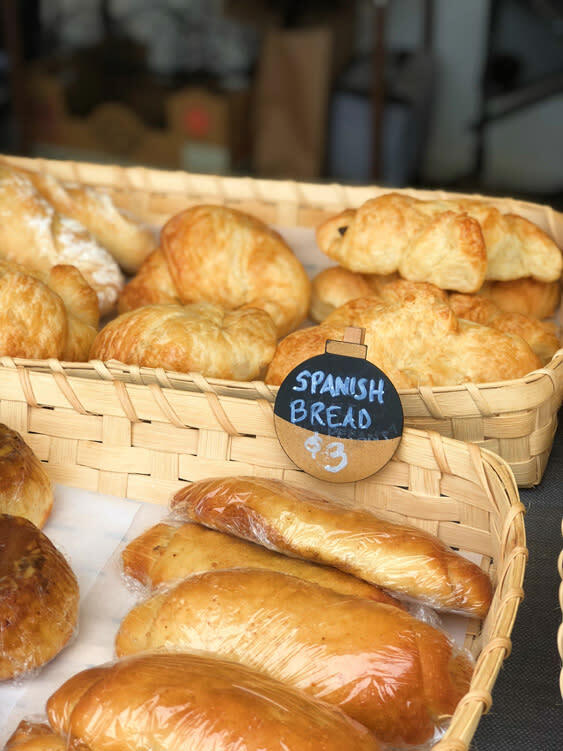 Check out the chocolat au pain behind the Spanish bread. 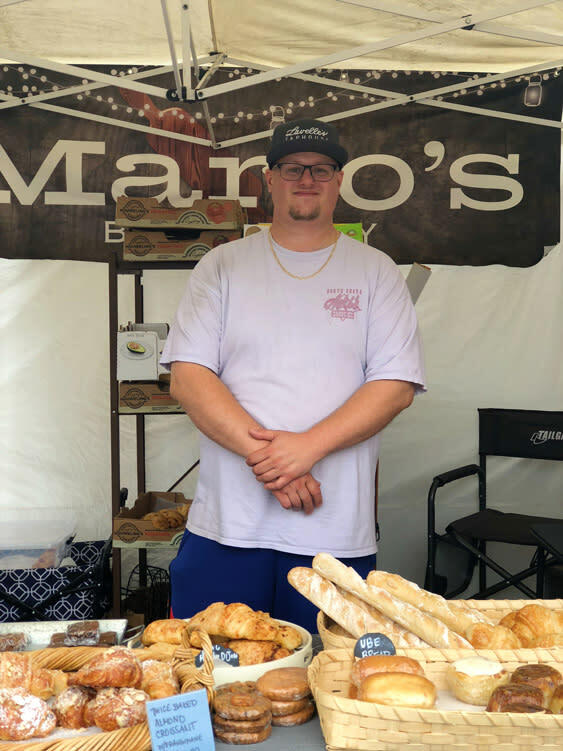 Tyler of Marlo’s Bakery. Cathy was at the bakery concocting her beautiful cakes. 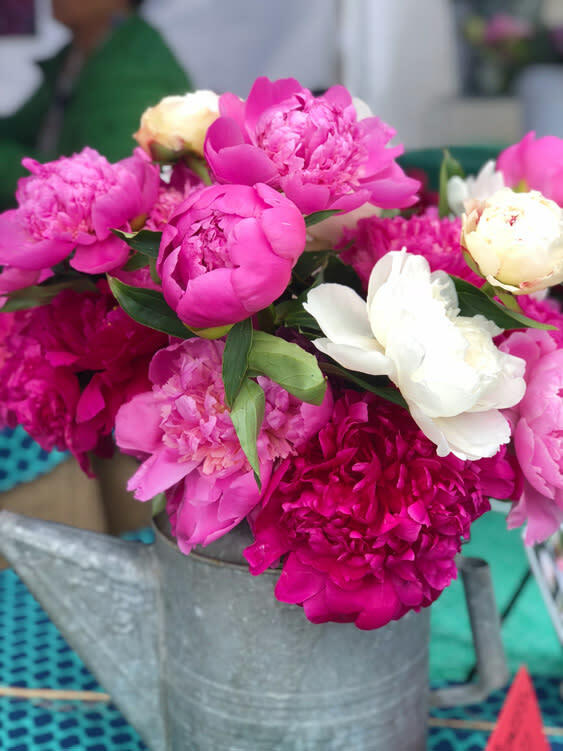 With a croissant in hand (and in my case, my mouth), head over to see Jenny’s Farm where you may find her selling a bucket of peonies alongside some sunflowers and rhubarb. I look forward to the August timeframe as she’ll have variations of potatoes. I purchased a few peony bulbs from Joanie last year and I’ve informed her that they came back. Joanie, always willing to provide advice when she sells her items tells me “remember that it’s ok for them to not flower this year. Just make sure that next year when those little bulbs come, just tear them off so that they’ll produce more flowers the year after.” I told her that I will be sure to do that next year—regardless if I tear up just a little with the reality that I won’t see them bloom until next summer. Jenny’s Farms peonies in a bucket. Rhubarb waiting to be pie’d. Jenny’s Farms. Good morning Sunflower. Jenny’s Farms. Don’t ever leave. I do not know a life without you. Gretchen and Janlee have been my herb mentors for as long as I have been gardening (it’s been less than a decade, mind you). 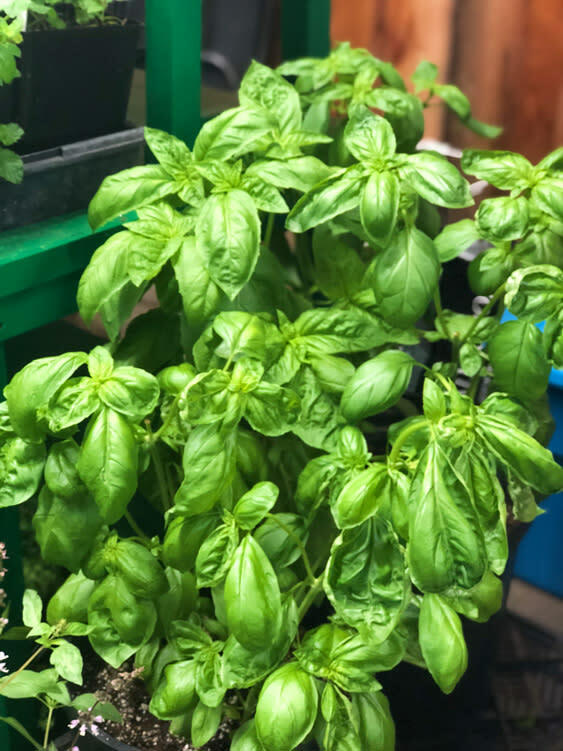 While they never knew they were my Basil Muses, I imaginarily bow to them each time I walk away with a tray of herb starters: cilantro, basil, rosemary, tarragon, mint—the list goes on. 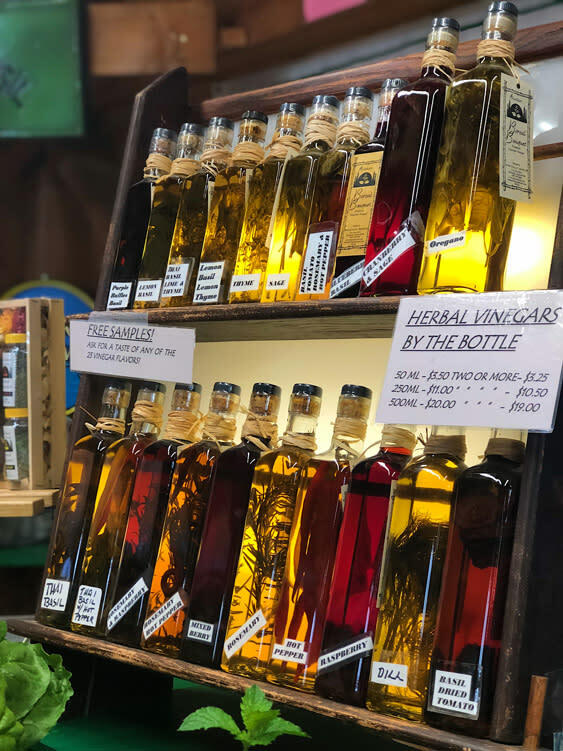 If you’re only visiting and obviously have no intention of bringing fresh herbs with you, they have rows of herbed vinegars and olive oils. Here’s the thing about these Goddesses of the Herb World---they know everything about growing things. It is because of them that I now freeze tarragon olive oil in little ice cube trays to be used during the winter; tarragon that I snipped from my herb garden, and olive oil that I purchased from the Fairbanks Co-op Market. Basically Basil’s all things good. Basically, this is a basil in a planter. How do I know that I’ve lived in Fairbanks for quite some time? When someone I used to work with is now happily retired working on their farm, and selling their goods. Barb Travis of Travis Farm used to say “hello” to me each time she stopped by the office. These days, I find her surrounded by succulents, vegetables and strawberries. 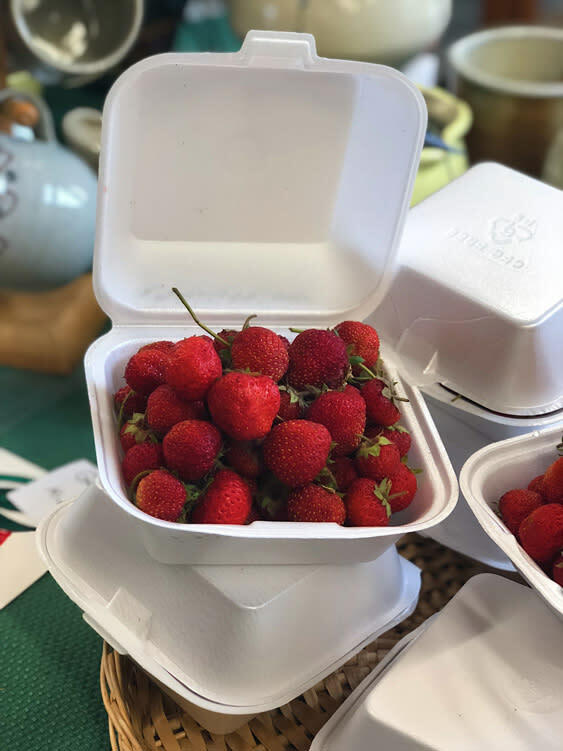 The strawberries grown on Travis Farm are unabashedly sweet and perfect for those who love to jam or jelly. Succulents who flinch when I come near them. I am known as the succulent killer after all. Travis Farms. Heyyyy Christine, I see you, Gurl! That is usually what quietly runs in my mind when I migrate over to Goosefoot farm for their radishes, collard greens and any good-looking vegetable. Goosefoot Farm is all organic and all of their vegetables are grown without pesticides. I must give credit to Christine for selling me bunches of collard greens a few Saturdays ago. I made collard greens with smoked ham hocks in an Instapo, and I swear it’s because I purchased those collard greens from Goosefoot Farm. 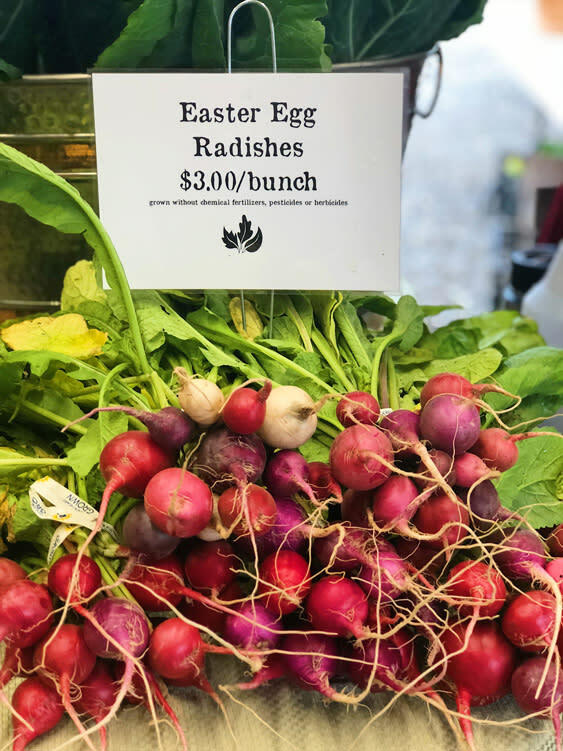 Easter Egg Radishes not in hiding. Goosefoot Farm. 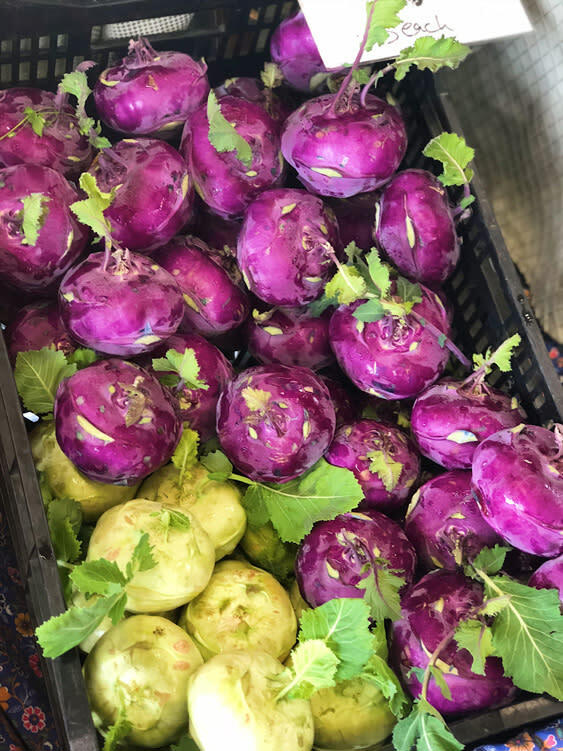 Purple kohlrabi, I will conquer cooking you one day—for now, take a pose. Goosefoot Farm. This must be said out loud: Crystal Risse is the Earth Goddess’ Mother. She does not know this—but she has been the savior of my garden and flowerpots for many, many years. She is the woman who provides me cucumber plants that contribute to my daily lunch and she is the reason why I have a huge gallon-like tub in my garden filled with plant food and warm water. I sincerely believe that the day Crystal was born, flowers grew around her bassinet and she probably handed the doctor who delivered her a daisy that she grew from her baby palm. 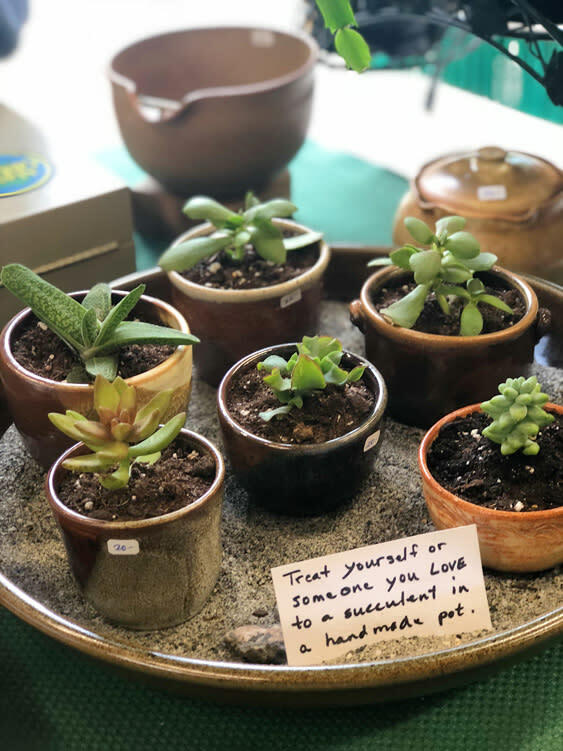 When she’s not at Risse Greenhouse off Chena Hot Springs Road, she can be found at the Farmer&apos;s Market giving all those uneducated gardeners (yours truly again) some sage advice. These cucumbers are a must for daily consumption. Risse Greenhouse. 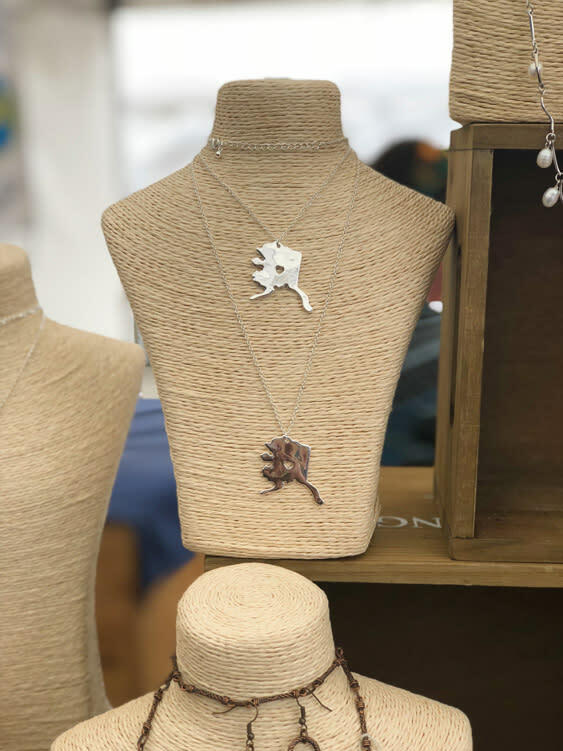 For those of you who appreciate jewelry makers and artists, Natalie is really quite talented. I’ve placed special orders for engraved necklaces and my daughter is currently wearing a bracelet by Ezina Designs. Her price point is not too shabby either, and really—quite on point. I left my heart in Alaska. Ezina Designs. My daughter is in love with all things that Jessica creates, and unlike how I used to promise the boys a treat if they behaved, I always promise my daughter that we’ll pick something up from Jessica’s shop just for her. 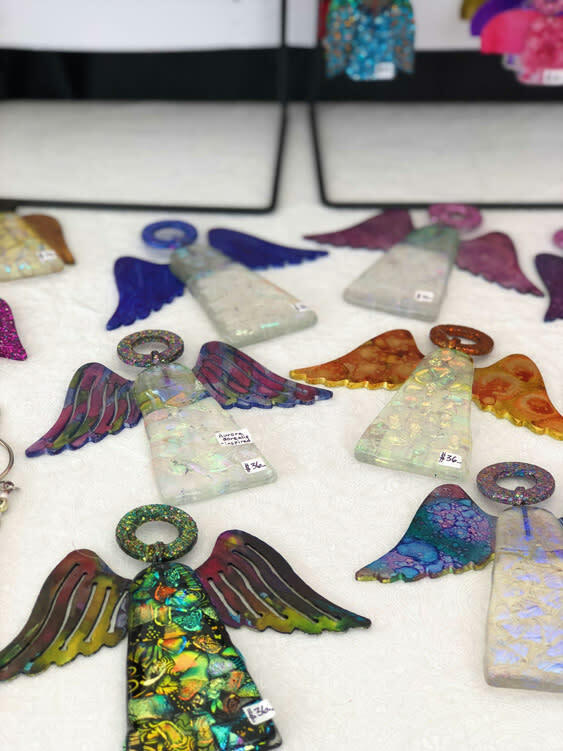 I am totally in awe of her angel designs from colored glass, and her earrings are a popular item for our wonderful visitors during the summer. Jessica is Filipino-American and quite talented, and she doesn’t know this either—but, I get to practice my Tagalog with her. Angelically charmed, I’m sure. Angel designs. 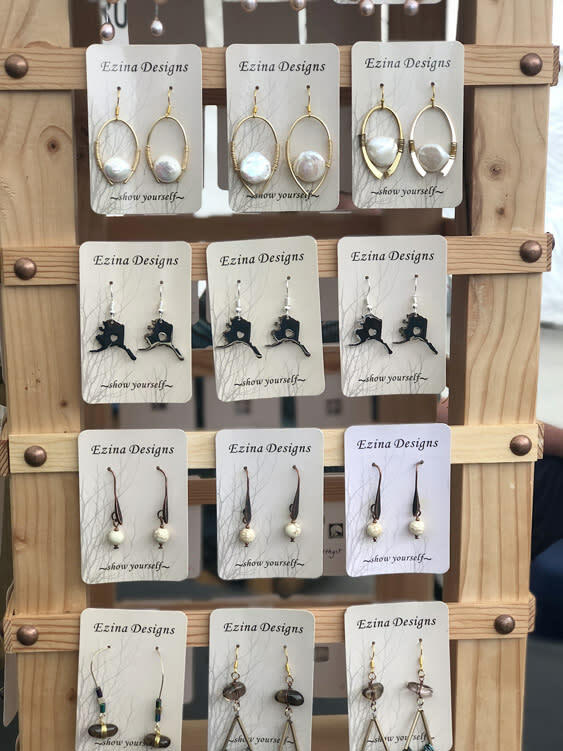 Earrings for days. Charms by CJ. 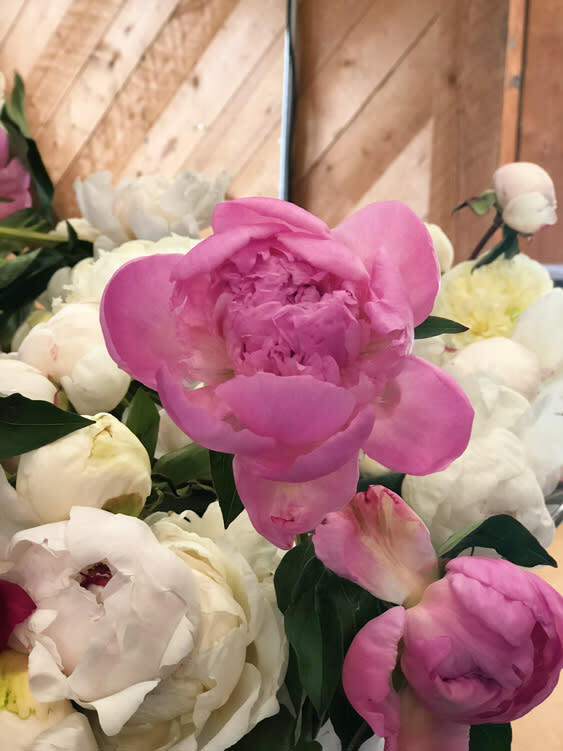 For those of us who are missing the quick, but beautiful peony season, here are a few from Alaska Peony Blooms. Show off. Alaska Peony Blooms. Another show off. Alaska Peony Blooms. 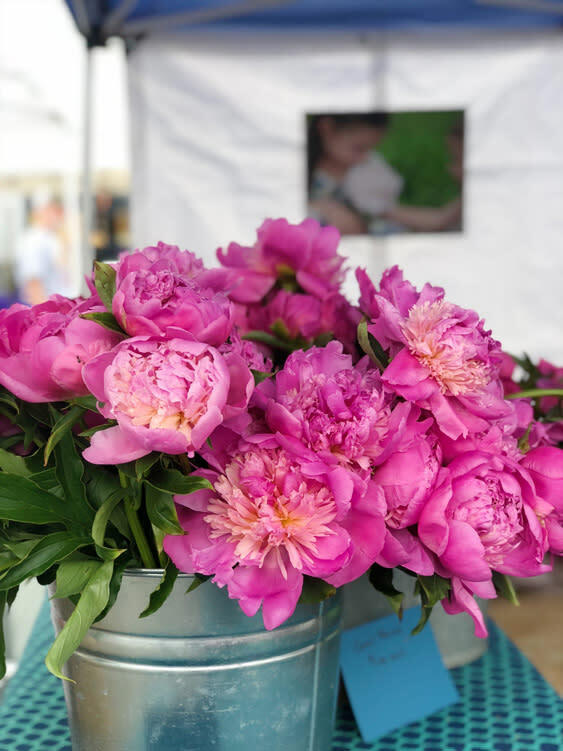 And, not to be outdone, Mary Ver Hoef is always ready to welcome everyone at her stall right at the market entryway with a parade of peonies and art. And, so they bloom Little Plum Garden & Peonies. Artistic Tiles. Black Spruce Music and Art. To eat or not to eat - that&apos;s always the question. After hauling vegetables and goodies, there are so many to choose from that you will really need to pace yourself. 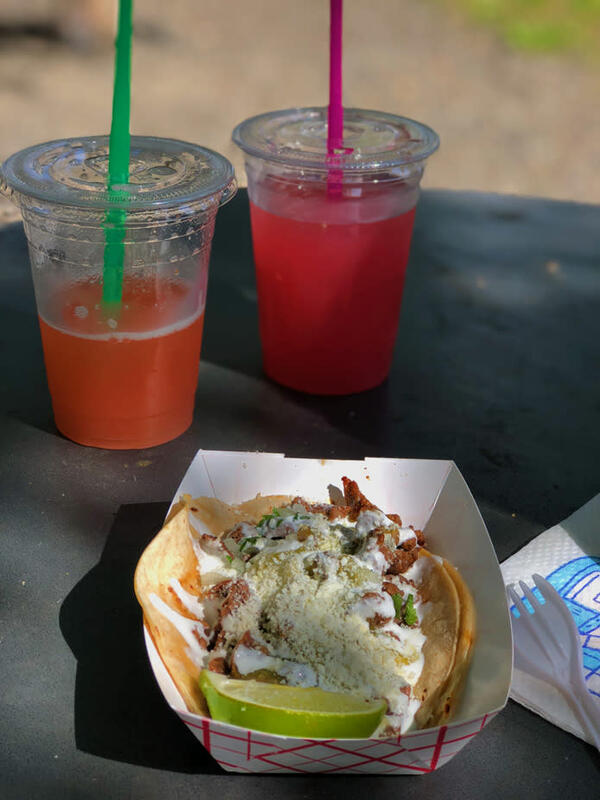 Who doesn’t love street tacos? I can’t think of a person either. How fortunate for those of us that there’s no need to travel to a big city to experience one of the best tacos I’ve ever consumed. I ate this before lunchtime and I feel no guilt. El Sabor Tacos. Gay at Crepes and I go way back to the soccer mom days; our older boys grew up together and have remained friends throughout the years. Aside from that tidbit, Gay has made some really scrumptious crepes. My favorite is the anything with Nutella crepe—as in add anything else, but don’t forget the Nutella. 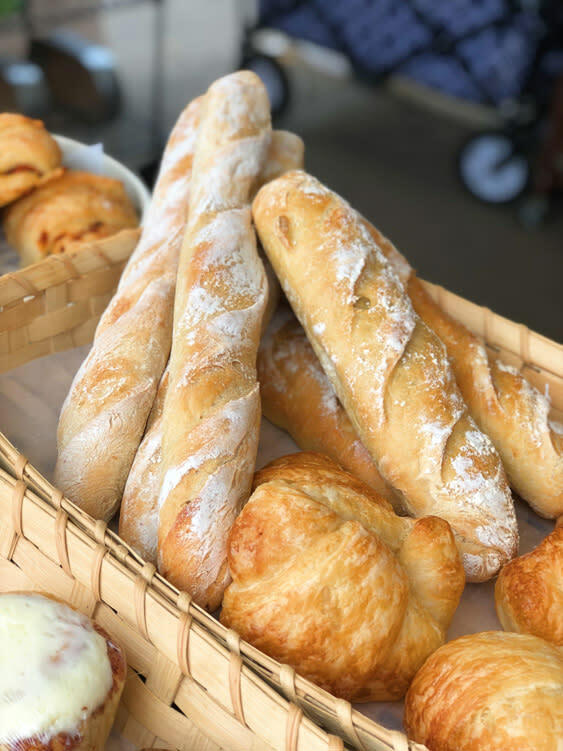 Tacos and crepes aren’t the only ones who line up the section of what I call “International Lane” at the Farmers Market. The Vietnamese Food stall serves up the best Bahn Mi sandwich. While across the way, you can pick up some pork bun to snack for later. Bahn Mi in the making. 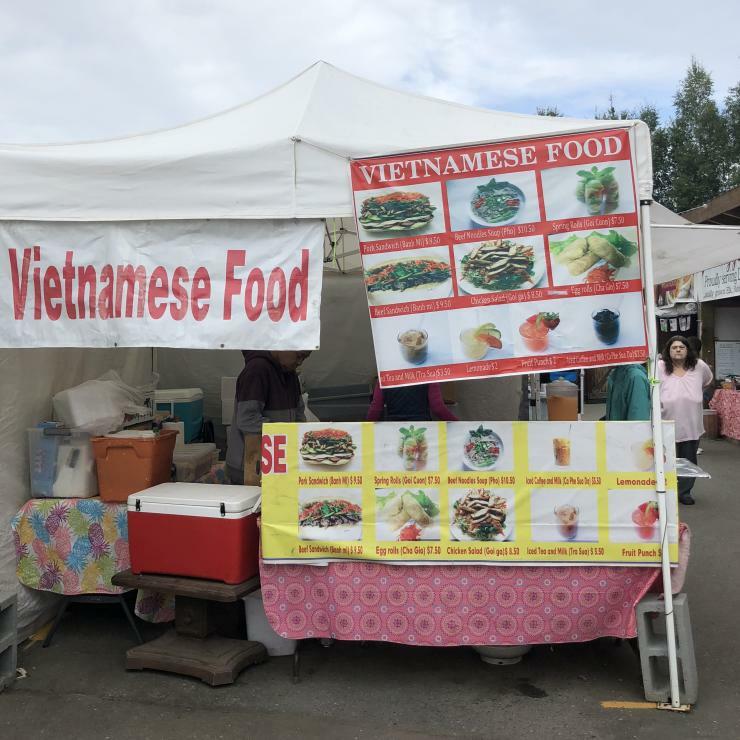 Vietnamese Food. Order by the platter. Chinese Food. Photobombed by a lovely lady with her Market haul. For the movies on a Saturday night, the popcorn is essential. Pit stop for a bag of popcorn. 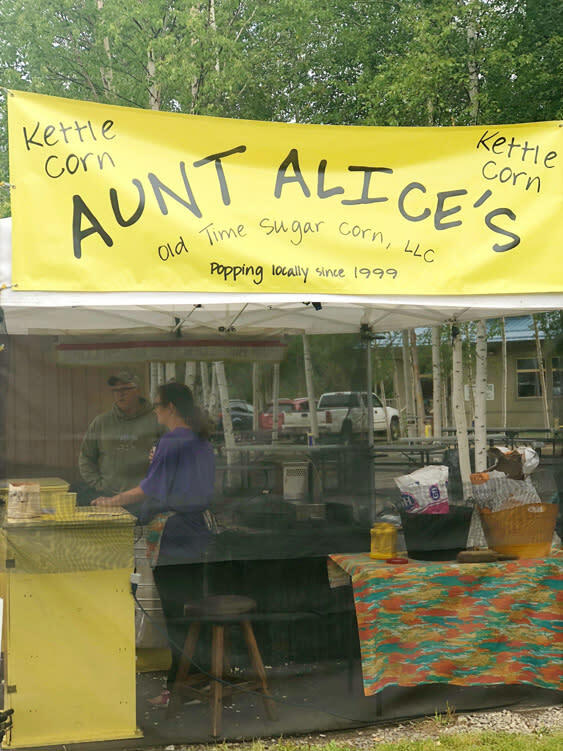 Aunt Alice’s Kettle Corn. Before I sign off with my favorites, I must include a new gem. Arctic Harvest. Eielson Farm Road. I am, if anything, always in awe at the farmers who sustain locally grown products. This is by no means an easy task or a simple journey to embark on. The courageous will pursue an endless amount of research so that they can provide high-quality products to their local consumers. Such is the case with Kelly, Travis and Stu at Arctic Harvest. So. I was told about this little gem out on Eielson Farm Road called Arctic Harvest. Thank you to those who gave me a tip. I will now fully admit that it is true what people have been telling me all these years: you may have lived in Fairbanks for a couple of decades now, but you are going to find things that you had no idea existed. 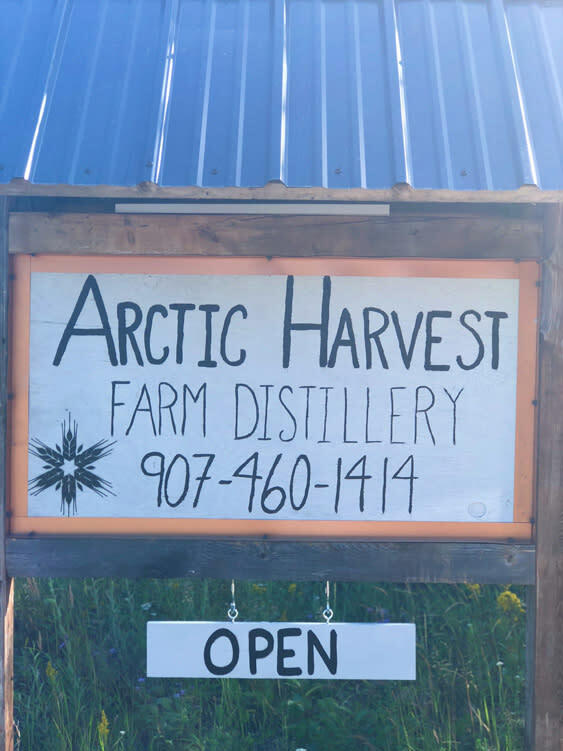 In comes Arctic Harvest located “a few” miles out of Fairbanks, but the 20-minute drive is well worth it. 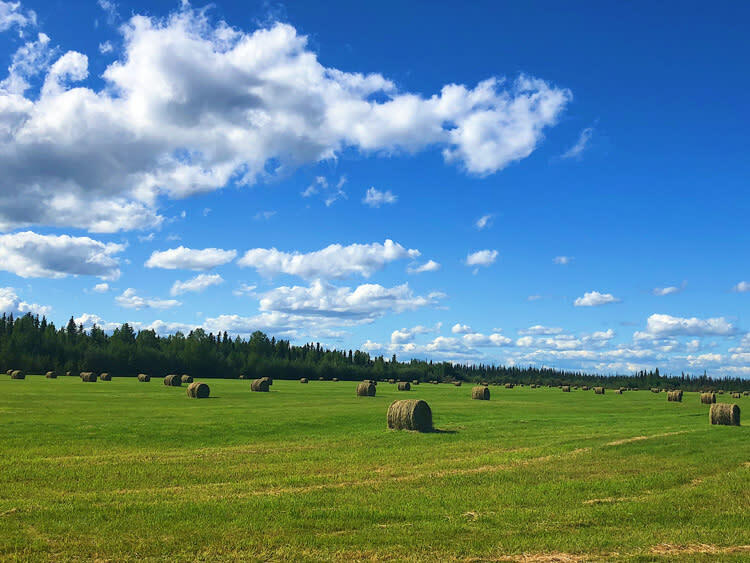 I drove by fields of hay and for a moment I wondered if I was still in Alaska. Kelly and Travis, who celebrated their wedding anniversary when I visited, were very welcoming when I entered through their door. Stu gave me a quick tour and a brief synopsis of the brewing process in their distillery. John from Dart-AM farms often sells his produce during the fall that includes peas, pumpkins and seasonal vegetables. They also offer hayrides, and this year, the little ones can play in a corn maze. The family-owned business was established in 2014, and they offer tours to anyone who would love to learn how Stu handles a barn full of barley. In just a matter of minutes, Stu educated me on the harvesting, malting, fermenting and distilling. He is what many of us consider an artisan. Not to worry—I don’t plan on taking on the art of creating spirits. Although, the thought would make many of my friends’ hearts go a-flutter. Oh, hay there. The fields at Arctic Harvest. 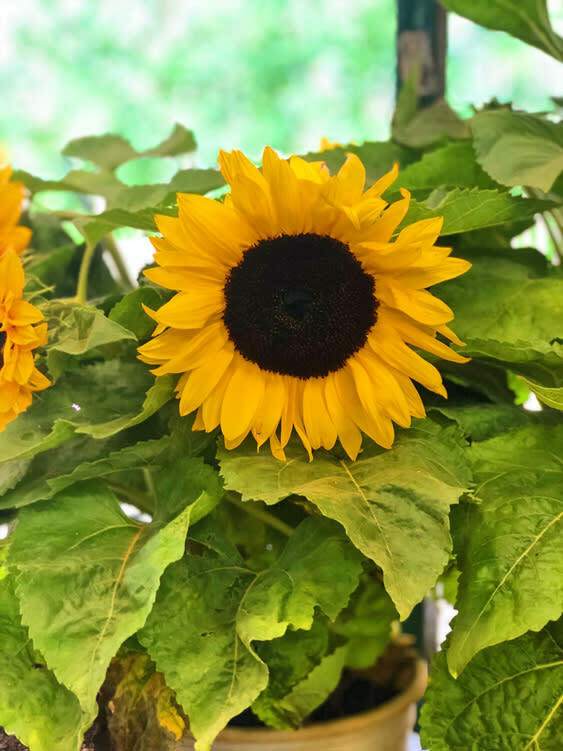 Alaska grown sunflower at Arctic Harvest. 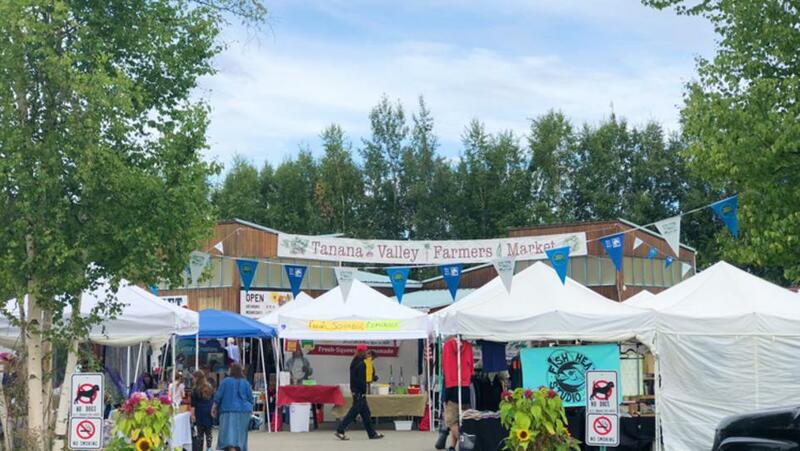 The Tanana Valley Farmer&apos;s Market is open on Wednesdays and Saturdays from mid-May to mid-September. It is located at 2600 College Road (map). 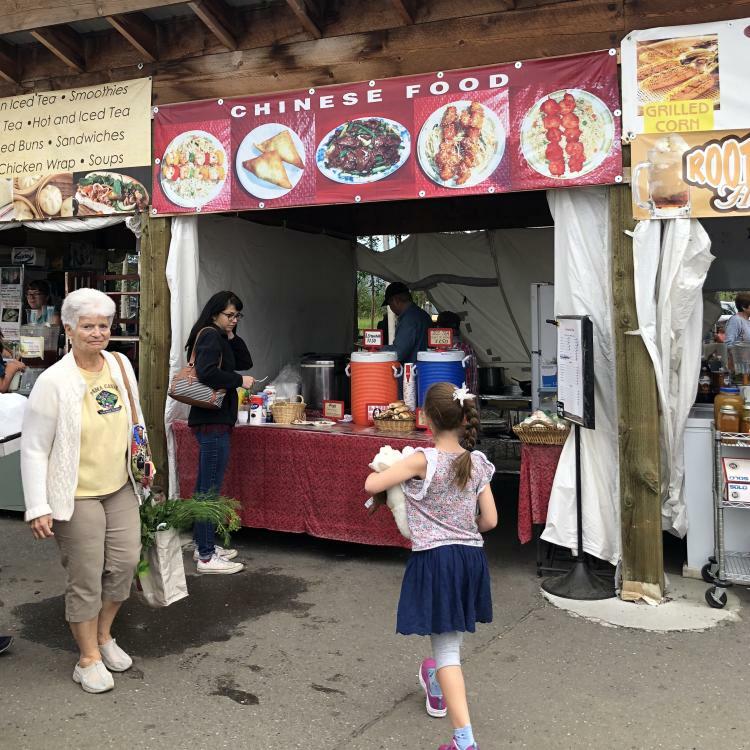 On your travels in and around Fairbanks during the summer, be sure to visit our local markets for good eats, vegetables galore during our incredible growing season under the midnight sun and one-of-a-kind arts and crafts. 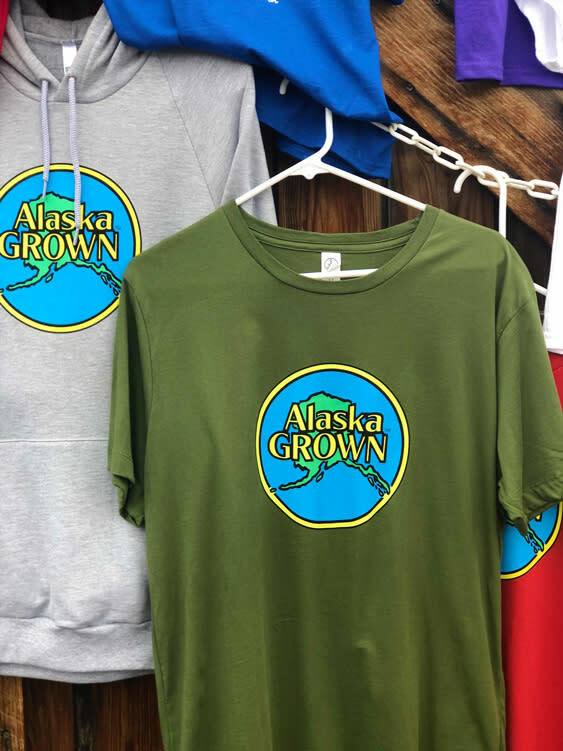 Thanks so much for supporting Alaska Grown! All photos were taken by the author, Jen Hoppogh, while researching this story on July 28, 2018.